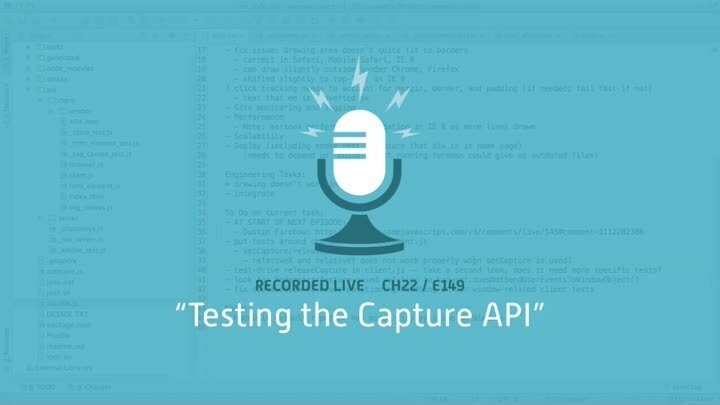 We wrote some code to wrap the Capture API, but it’s not tested yet. In this episode, we fix that oversight. It’s a fairly straightforward matter of simulating events on one element and making sure they show up on another.